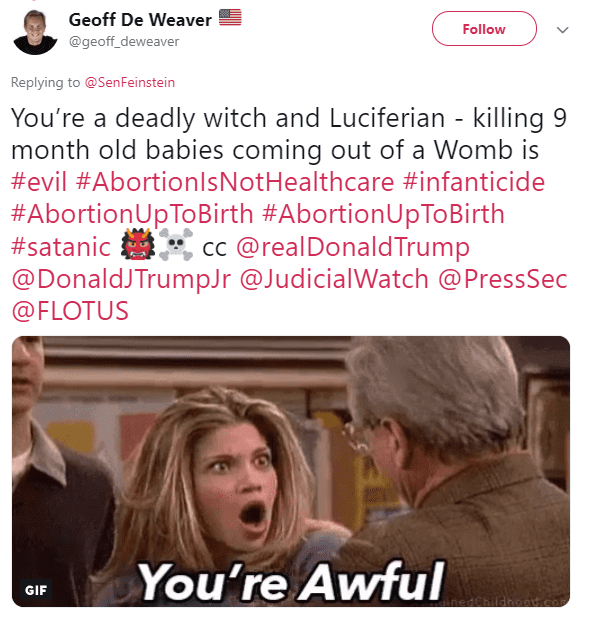 Late-term abortions have been in the news quite a bit lately due to recent decisions by some states to allow abortions after 24 weeks when medically necessitated. 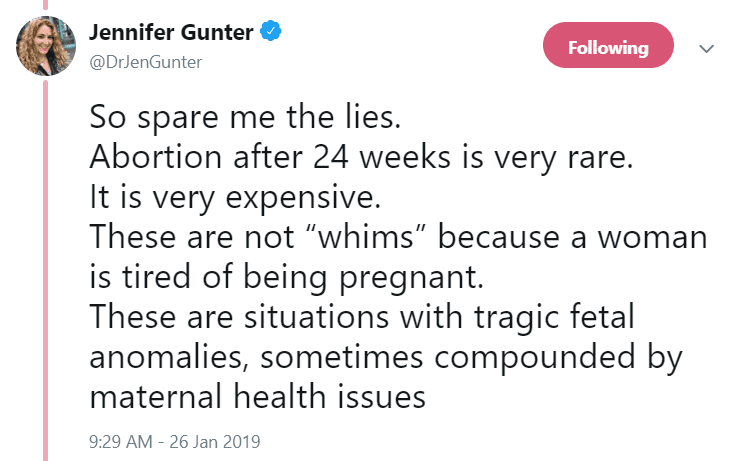 But, there’s a lot of misinformation out there about late-term abortions. 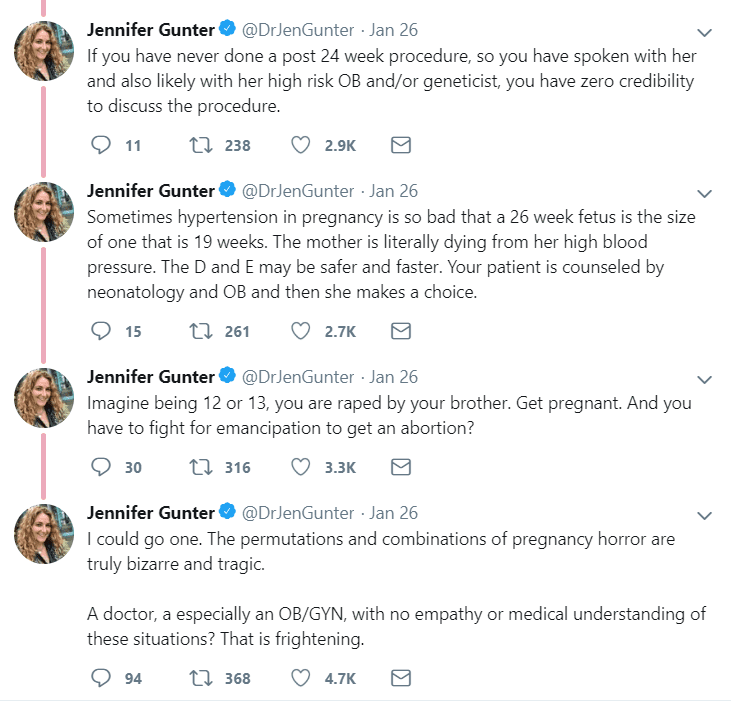 The phrase “late-term abortion” is used to refer to abortions later in pregnancy, typically those after 21 weeks or more of pregnancy. 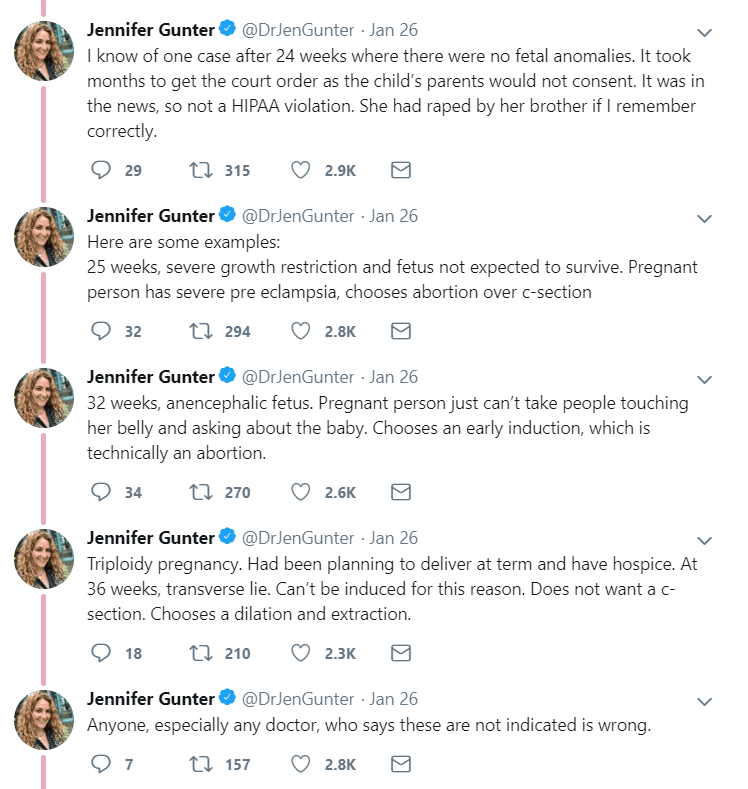 Dr. Jennifer Gunter, a board-certified gynecologist, took to Twitter to share her experiences and drop some truth regarding these abortions. Non medically indicated = for no health-related reason. 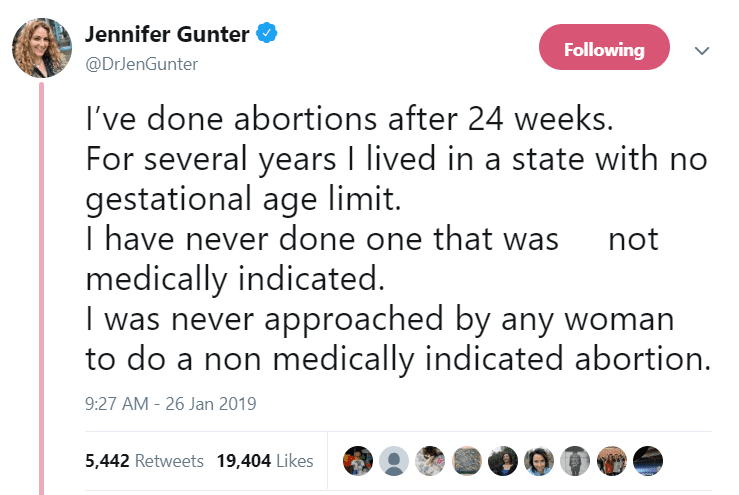 Dr. Gunter means that every single late term abortion she ever performed was for a significant medical reason. Clearly, no one is making these decisions lightly. These are tragic situations, and those who are facing these decisions should be treated with empathy and understanding, not judgment.